Soon, you’ll see the Las Vegas Strip from a perspective you just can’t get on the ground. The Las Vegas Strip is over-the-top! How "over the top?" Climb aboard a helicopter and you’ll really see! Experience a Las Vegas touring experience so extraordinary you don’t dare pass it up! 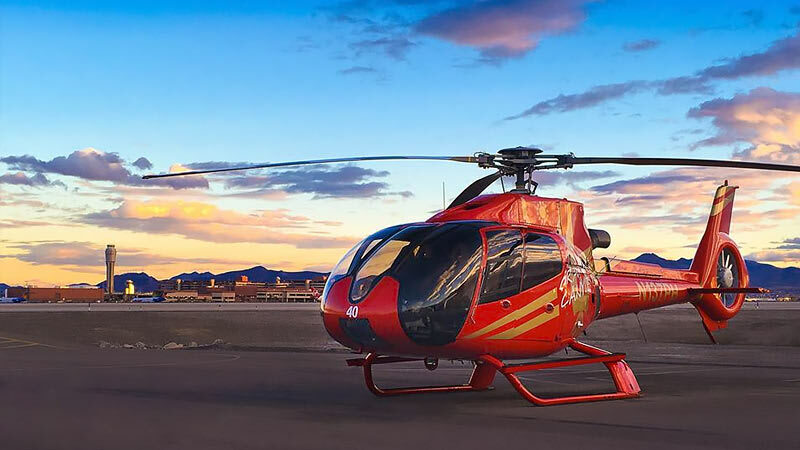 The adventure begins when a luxury limousine meets you at your Las Vegas hotel and transports you to the Grand Canyon Helicopter Terminal. Champagne toast before lift off! Amazing aerial views of the beaming lights from Bellagio Fountains, the lit-up Eiffel Tower, the Luxor Pyramid and more! After the flight enjoy a limousine ride back to your hotel to take on the night! Feel even more pampered and special with a champagne toast before lifting off. 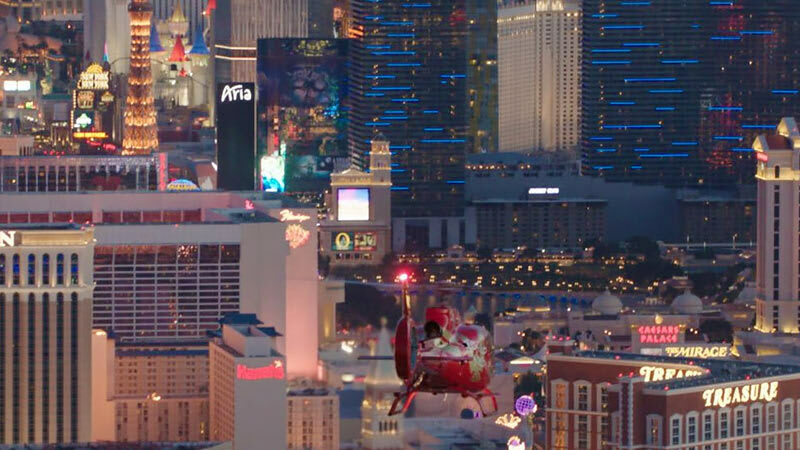 Soon, you’ll see the Las Vegas Strip from a perspective you just can’t get on the ground. All the glitz, glamour and neon is laid out before you – this truly is a magic carpet ride! Architectural and conceptual marvels created by contemporary hotel moguls will transport you to another world right here in the USA: the volcano of the Mirage; the dancing water fountains of the Bellagio; St. Mark’s Square at the Venetian and the Eiffel Tower replica at the Paris hotel. Don’t forget the Statue of Liberty at New York New York, and circle around the summit of the Stratosphere! 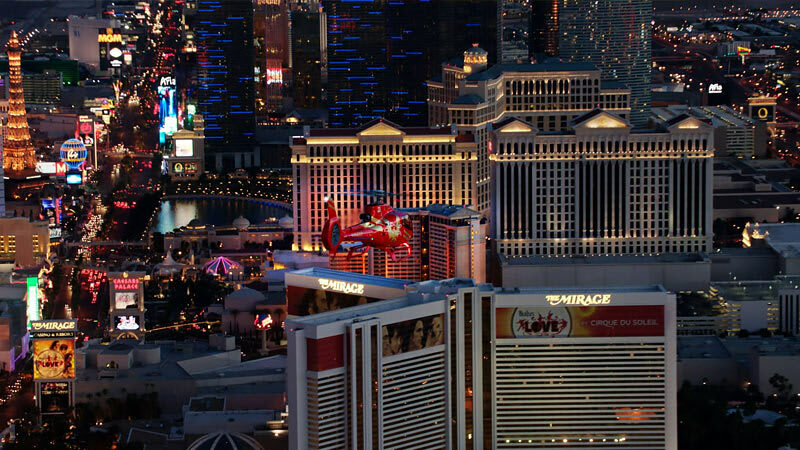 After your unforgettable flight over the Las Vegas Strip, you’ll be returned to your Las Vegas hotel to enjoy the rest of your evening. It was absolutely amazing. Our pilot was amazing. Would definitely do it again. It was a blast and a great experience from beginning to end. Highly recommended! Staff was over the top. So helpful and accommodating! Purchased for my boyfriends birthday and it was awesome! Our Pilot was the best! Everyone at Adrenaline was very knowledgeable and friendly and very accommodating. Our Captain was really nice, answered all of our questions and gave is a real smooth flight. Flights depart between 5PM and 8PM depending on the time of year. Summer flights are typically around 8PM and Winter flights will be around 6PM.